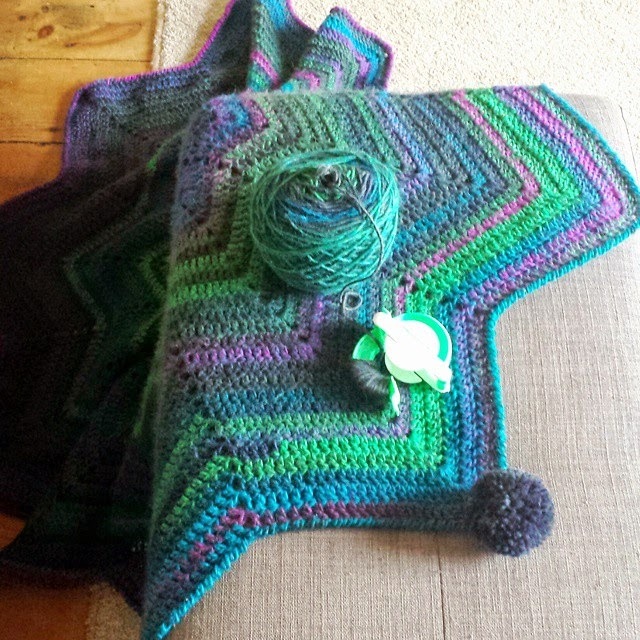 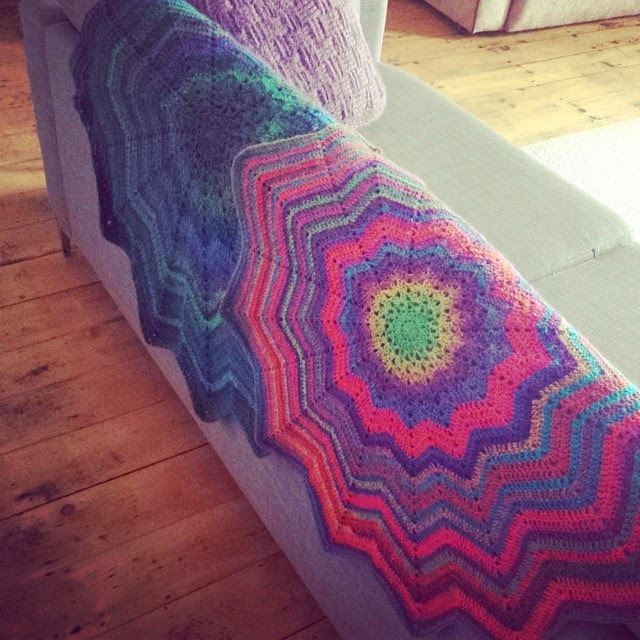 I started this round ripple blanket 6 months ago, got 95% of it done and then, well, just threw it over the back of the sofa and forgot about it. 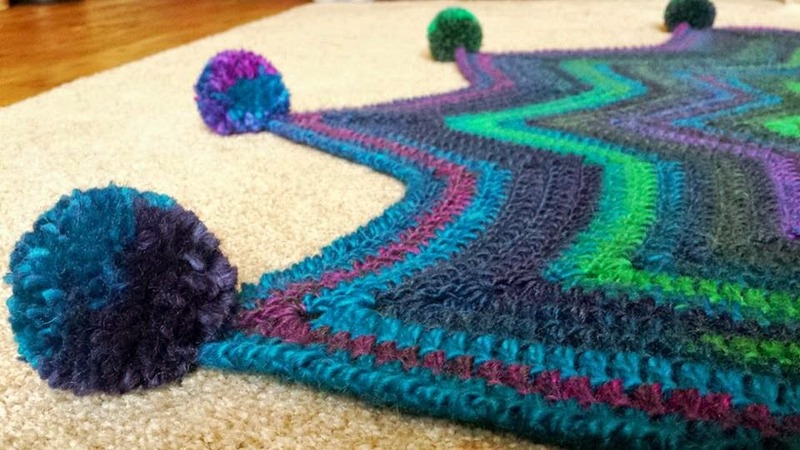 I dragged out 3 more balls of the beautiful James Brett Monsoon yarn, added some extra rounds, did a simple crab stitch border and then made some lovely fat pompoms to add some weight to the corners. 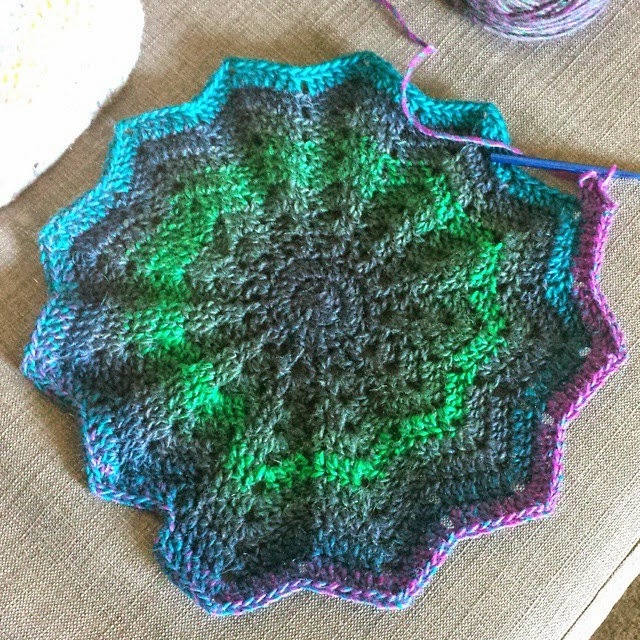 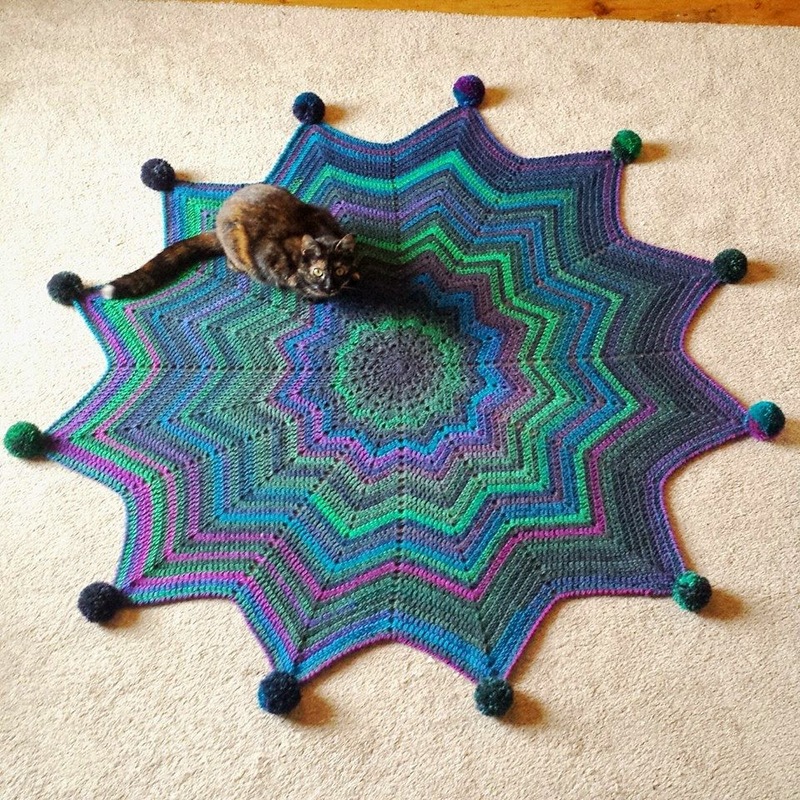 It only took a few hours to finish the blanket, I have no idea why I didn't do this sooner. 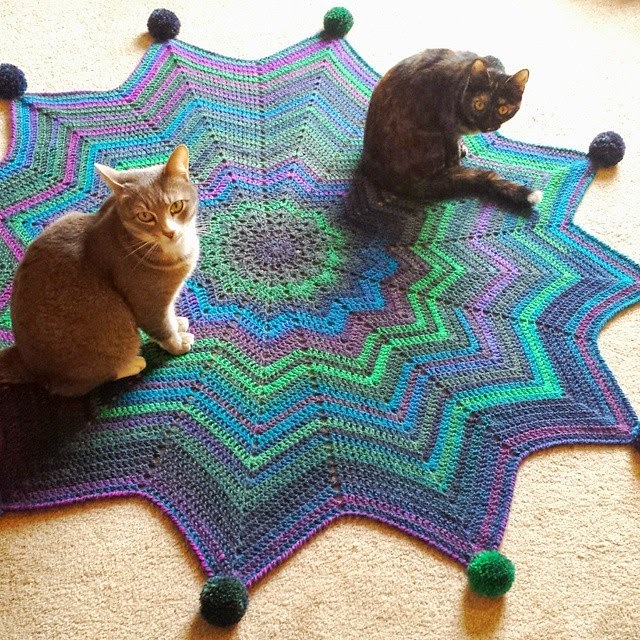 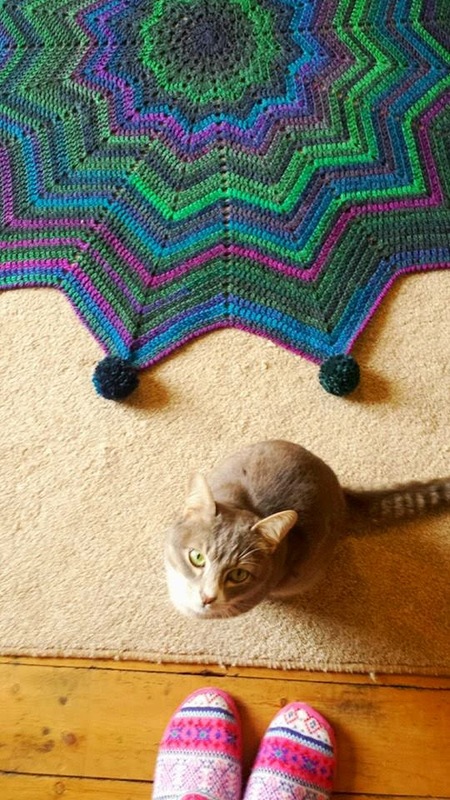 I have no official ta dahhh photos as such as my cats insisted that obviously this blanket had been lain out purely for them; I was relentlessly photo bombed haha!